Statement power suits and pretty pastels are two of my fave trends percolating for Spring. Coordinated head to toe is a straightforward way to look both pulled together and fashionably polished. There’s something to be said for not piling on a mix of disparate fabrics and patterns that in a minute can look contrived or veer into being costumey. Going through the Matchesfashions.com website I realized I was drawn to several outfits by Racil, a new designer for me. 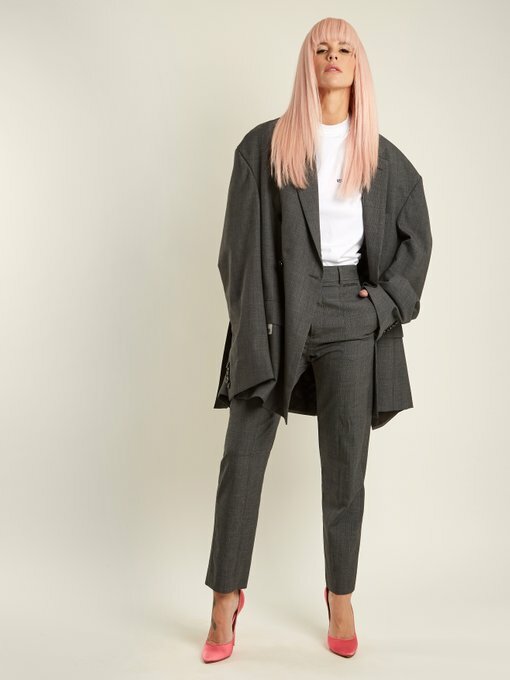 As described by Matches Fashion, “putting a modern twist on the classic tuxedo, buyer-turned-designer Racil Chalhoub combines Savile Row materials and Parisian tailoring with a Lebanese sensibility to create her unique collection of exceptional tailored pieces for women." I find Racil's super chic tuxedos, with hues inspired by a sunrise and sunset palette very appealing. Orlando mid-rise flared pants - took me awhile to get with slide slit pants but now I love them!